The arm of this bracket angles slightly downward and finishes in a scroll for an antique appearance. A small hook finishes the piece, allowing you a place to hang your outdoor lantern, flower basket, or spinner up to 23.5-inch in diameter. The flat side of this bracket mounts to a wall with the two included screws. The black color will meld with the surroundings, and the sturdy steel construction creates a lasting hook. Hang your garden items on the antique styled forged angled wall bracket. Available in black color. Measures 12.875-inch length by 0.875-inch width by 5.75-inch height. 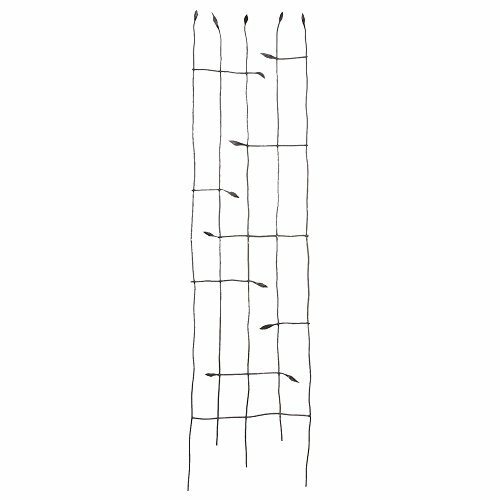 Panacea Forged Twig Trellis With Leaves Black 72 inches Provides climbing area for ivy and vines. Powder-coating for added durability. 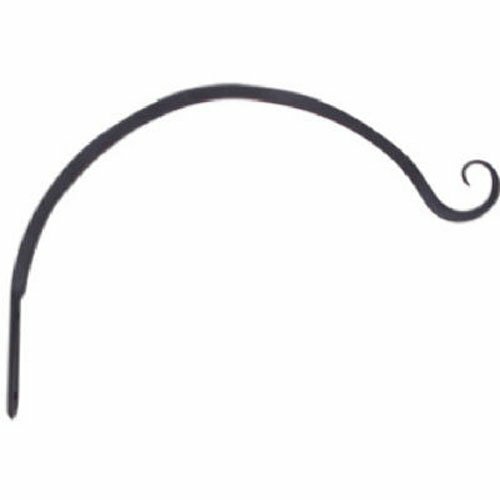 This forged curved hook is 13-inch long metal hook has a gentle arch in the middle, curling in on itself at the end. The additional curl securely holds your bell, bird feeder, or hanging basket. Two included screws fasten the hanger to a wall, post, or tree, and the powder coated finish provides durability for several seasons. Mount the forged curved hook in your garden for a stunning hanging display. Available in black color. Measures 14-inch length by 0.75-inch width by 8.25-inch height. The panacea forged threaded J hook is used to suspend your hanging baskets or other ornaments with confidence. 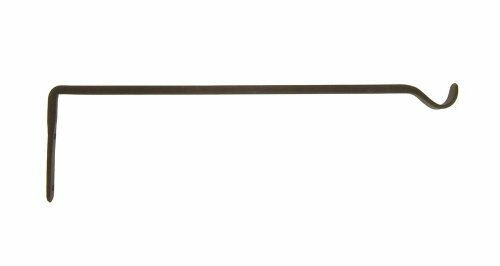 This sturdy hook threads into a post or ceiling with the threaded end for a secure hanger. 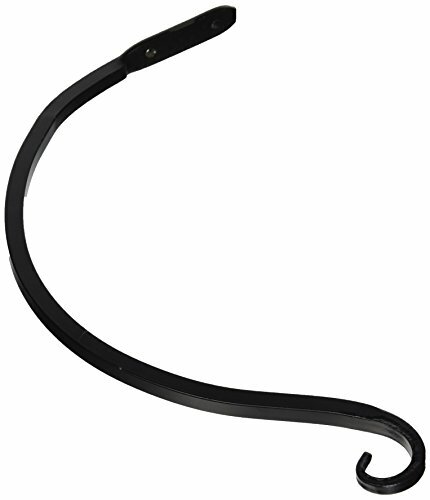 The item is made from sturdy steel for a durable hook, and the black color will certainly blend with any surrounding. Display your hanging items from the forged threaded J hook. Available in black color. Measures 6-inch length. This forged straight hook is available in black color. Measures 15-inch length. 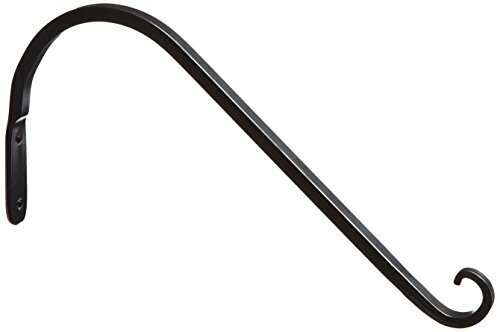 This forged curved hook is 7-inch long. The metal hook has a gentle arch in the middle, curling in on itself at the end. The additional curl securely holds your bell, bird feeder, or hanging basket. Two included screws fasten the hanger to a wall, post, or tree, and the powder coated finish provides durability for several seasons. Mount the forged curved hook in your garden for a stunning hanging display. Available in black color. Measures 8.125-inch length by 0.625-inch width by 6-inch height. This item elevates your plants, and protects them from hot concrete or cold tile. 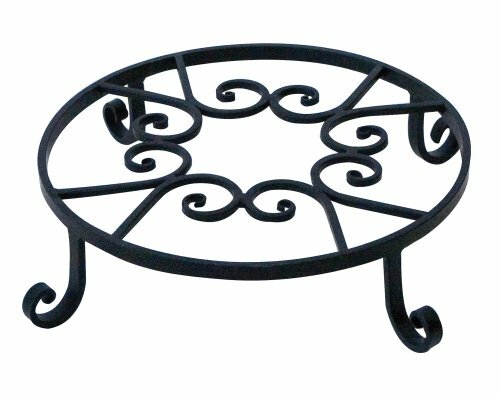 The scrollwork on the top of the trivet adds a decorative touch, and creates a sturdy support for your potted plants. The item holds pots up to 11.5-inch in diameter and is supported by four slightly curved feet. 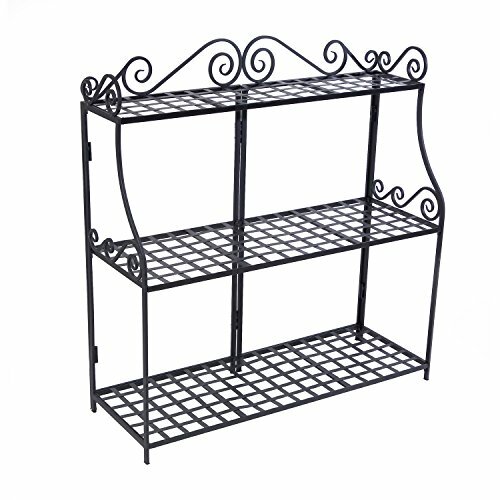 The sturdy steel construction will last for several years, and the black color will enhance your plants. Keep your favorite flowers or herbs off of the ground with the olde world forged pot trivet. Available in black color. Measures 12-inch diameter by 3-inch height. Display your hanging item with the Panacea HoldAll 15-inch hanging plant bracket. This bracket offers old world charm in a heavy duty Country Blacksmith forged straight design and an outward curl at the end, offering a place to hang your favorite item. The extended arm can accommodate hanging items such as lanterns, wind chimes, or planters. The forged steel construction creates a sturdy piece. The black color adds a classic look. This trellis is hand forged. It has three vertical rods that are slightly twisted for a more natural look, with twigs with leaves sprouting inward to form the body of the trellis. 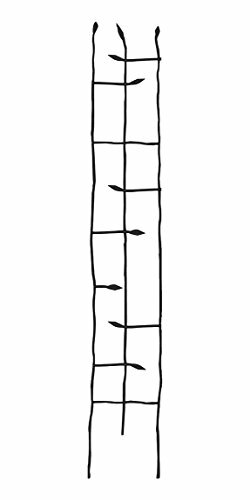 Each twig crosses horizontally through the main frame for added support and has the same gnarled look as the vertical rods. Copyright © Wholesalion.com 2019 - The Best Prices On Panacea Forged Online.